To all my praying friends......Tuesday 9:00 - 11:00 a.m. is when I need you! Rene will be going to the Consulate at 9:00 am Honduras time.....this will be 11:00 our time! Please pray that Gods Will will be done! Please pray that God will give Rene peace and courage as he meets with the people who will decide if he comes home with us for the month of December! Either way, we will praise God! Thank you so much for your prayers and for all of your support! May God bless you all! My Father in Heaven has available His hand. I am reminded that Jesus suffered an died to offer eternal life to each of us. The Holy Spirit is with me if I will just let Him in! What ever the problem the answer He'll show. But my Maker in Heaven shows me He was right all along. For my Savior is with me, each and every single day! One of the things I love to do in life is to write. I am not a "WRITER" per say, but I love to share my heart. One of the reasons I have not written in a while is that there is so much going on in my life. Some of it is good, some sad, some that has left me reeling.......and some that is absolutely incredible. God has been working deeply in my heart and my mind as well. Right now I am in a really funky stage of life. I am one who likes to know where I am going and what I need to do so that I can do the best I can. These days I have felt like I do not fit in anywhere. With the band no longer being together I feel as if I have a huge hole where that joy used to be. 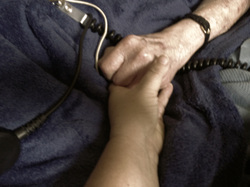 I have my hospice patients and that is a huge source of joy, but on a limited level since I cannot go very often. Chelsea is graduating next week and I am so very proud! I used to go visit her and her fellow students.....so now that is going to end for the most part too. I miss my friends from Sugar Creek Baptist Church so much! I miss the hugs and the laughter! I also love First Baptist Loganville where God moved us back to! Now though, I am struggling to find where I fit in. I miss Honduras more than words could ever adequately convey, but I soooooo look forward to Rene coming to visit us for Chelseas wedding! (Please help us keep praying that God will get what we need to get him here!) We have issues going on in our lives right now that I cannot comprehend......I don't know how things got to where they are and I have no idea how to fix them. Then, on top of it all.......I am getting closer to 50 and lets just suffice it to say that I am changing and sometimes my emotions get a bit out of control. With all of this going on, I have lacked inspiration and even a desire to write. I have been in a bit of a hole filled with emotions swirling violently around, sometimes leaving me feeling dizzy and some days....a bit scared. Sleep has been little and stress has been high. On a bright note, I have a job......that I LOVE......I have family.....that I LOVE (especially my husband, children and grandchildren)......I have friends......that I LOVE, I have a church......that I LOVE......I have a Heavenly Father.....that I LOVE! All of this craziness I am writing is an attempt to understand myself......and to ask my friends and family to pray for me and for our family. The saying in the picture above really struck a chord in my heart. 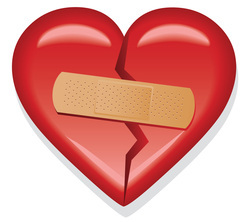 I pray that God will edit me......and give me a heart that loves unconditionally! I pray that He will give me ears to listen intently and deeply and that I will only speak if HE has something He wants them to hear! I also pray that God will take my hands and use them to give of myself out of HIS love and not out of my desire. I pray that anything and everything I do or say will be for HIM and not for me! I am sorry if this post seems strange, after all.......I may be the only person who ever feels this way, but if not.....you are not alone! The one thing I want everyone to understand, I am so THANKFUL FOR MY LIFE! I am so THANKFUL that Jesus loves me and that HE DIED that I might live with Him FOREVER! I AM..........THANKFUL! It is getting late and I was just about to go to bed, when one of my favorite shows, TRAVEL THE ROAD, came on. It is a show that features two missionary men who go to the ends of the Earth to share the Gospel Message. On this night they went to Somalia. I have been to Honduras 7 times now and though I have seen many sights that have brought me to tears, I have never seen the true devastation that many parts of the world have experienced. When in Honduras I have always felt safe and for the most part accepted. In Somalia this would not be so. I saw such great sadness and fear. Starving children who have very little hope for their futures. I looked around my home as I was watching and what I saw was excess. What I saw was a collection of things......things that although cool to have, the cost of those things could have fed and cared for children who are dying of starvation! What I saw was selfishness and greed........I did not like what I saw. This day.....Veterans Day, is a day that we should be honoring those who went before us to give us safety and freedom, yet what I see in forming in our Country is a great selfishness of a me generation.....a lack of respect and knowledge of the sacrifices that were give freely to us by those who longed to make a better land for their families. I can't help but wonder if our forefathers could see us right now and what our Country is evolving into.....would they have been so quick to lay down their lives? Anyone who has served our Country and sacrificed their lives, their family times, their dreams........I want to sincerely THANK YOU! Your sacrifice has NOT gone unnoticed! I am so thankful also that every single day.....God is taking away my need for things that just gather dust or that will pull me away from the plan of God! People......we live in one of the GREATEST Countries on the PLANET! Hold it dear....protect it from those who want to steal, kill, and destroy this wonderful GOD given Country we live in and are proud to call home! I hope and pray that each and every one of you who read this......will go onto the internet and look for yourself at what most of the world is going through.....look at the poverty.....no just poverty of money, but poverty of spirit! I pray that something will click in your heart if you cannot see what I see around this world! I pray that God will open your eyes......but a word of warning.....you will NEVER be the same! As you know, a HUGE part of my heart lives in Honduras! Please take a moment to think about someone else and forget about the troubles in your world. If you know God.....you have got it made.......if you don't......I pray that you will fall on your knees in repentance.....and seek God and his plan for your life! BUT GOD!!!!!!! As I peruse FB, I see so many people doing daily posts of what they are thankful for. Although I have not participated to this point, I want to now post what is deeply on my heart. I am first and foremost thankful for my Savior who loves me even when I am not lovable.....and who provided a way for me to live with Him throughout eternity. Here on this planet Earth, I am so very thankful for my family! Recently we buried my Uncle Bob Frahm﻿ who was killed by a drunk driver in the blink of an eye. The service was beautiful......and very surreal. The days following his death I found myself fearful that at any moment I could get a call or a visit at my door. Every car that came my way could be the one that took me home to be with my Savior. It is moments like these that make the troubles that we have with our spouse, our children, our parents or siblings or even grand children seem menial and petty. Life is hard yet life is so wonderful. It is times like these that tend to make you look at things from a different perspective. It is times like these that open your eyes to the beauty of family.....good, bad or ugly......family, is family! Why do we sometimes find it harder to forgive family for wrong doing? Why is it easier sometimes to do wrong by family? I stand guilty as charged on both counts.....if we are all honest with each other.....at times, we all are. This week, my Aunt Mary Frahm﻿ became a widow because a young man decided to drive his vehicle while still intoxicated thinking he had slept it off. If anyone has the proverbial right to be angry and unforgiving.....it would be her......but she is not. My Aunt Mary has handled it all with the grace, peace, and unconditional love of God. Instead of being angry and unforgiving, she is praying that this young man will find the love of our Heavenly Father. She is praying that he will become a part of our Heavenly family and reside with us in Heaven someday. I know that may not make sense to most people, but it does to me and it speaks volumes to my heart! Aunt Mary has hard days ahead but you know what.....with her attitude of forgiveness and love, she will not have to live her life bogged down and chained to a heart filled with anger, unforgiveness and bitterness. WOW, note to self.........this is how we can avoid those things that bring us down and affect our health and our happiness. I know I am a bit all over the place here, but I am so thankful for the time I was also able to spend with my family from around the US. Minnesota, Florida, NC, and Georgia were represented. I missed our family from Oklahoma and California, but they were in our hearts. Another jolt we had in our family was finding out my mother-in-law, Carolyn Stacy will be going in for surgery on Monday because she has been diagnosed with breast cancer. Hello......we were not expecting that one either! BUT GOD! I am thankful for Bud and Carolyn and for Chris's brother Greg and his family! We will get through the tough times with grace as we love each other and care for one another......no matter what. Anyone reading this post, please hear this one thing if you hear nothing else. Be thankful for your family! I know that there are those out there who may not have family that seems worthy of your thankfulness and for that I am sorry, however.....be thankful anyway! I know this may sound strange but when you are thankful.....it changes YOU! Find even the most minuscule thing to be thankful for and build on it! If you can start with being thankful for being brought into this world it is a start. If there is nothing else to be thankful for with your family, then be thankful you can pray for them and love them from afar! Being thankful does not mean being a doormat or allowing yourself to be hurt, but it does mean you can be thankful to forgive.....and still keep up boundaries to protect yourself. OK, now I have definitely been around the world with this one! Today and everyday......I am thankful for MY family! Thank you Mom and Dad for teaching me to love God and to put others first over myself (a continuing process! ), thank you Leslie and Luisa for loving me when I was not a very lovable sister......thank you Chris for loving me when I was not a pleasant wife at times....thank you for hanging in with me! Bubba, Candice, and Chelsea......thank you for loving me when I at times was not the best mom.......but know I have always loved each of you since before you were born! Thank you to Tanner, Devon, Carly and Tidus who love me without question! Thank you Tammy, Josh and soon to be son-in-law Christian for accepting me as your family! I am thankful for each and every one of you! Also, I want to thank Rene, our son in Honduras for loving me and allowing me to be his loco american mom who loves him as much as the children God blessed me with by birth......also to Noe' our son who just joined our family this year from Honduras! I AM SO BEYOND BLESSED!!!!!! THANK YOU FATHER FOR MY FAMILY!!!!!! Before I start this story, I want to start with a prayer. Father God, I want to start by thanking You for allowing me the honor of sharing a tiny little piece of Mr. Mays life. The journey that You sent me on has been one of great joy.....and great sorrow. Lord, I pray that as I write this story today, You will give me every word from Your Heart! I pray that You will be honored as I attempt to honor the life of a very special man that You created for a very special purpose! Father, please help me to write this story, because without You......it is just that.....a story. In the name of Jesus I pray......Amen. 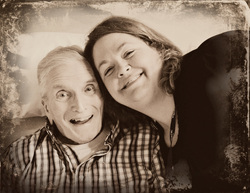 When God gave me the opportunity to start with Hospice Advantage, I had no idea what He was going to do, or how He was going to use it.....I just knew that it was something that I HAD to do! In my life, I have not dealt well with death, so just the fact that God placed me in this position was a key indicator that He had a plan that was bigger than me and what I could do. All who really know me, know that I love people.....all people......but especially the young people and the elderly people. 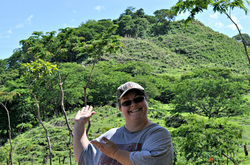 Just look at any of my Honduras pictures on Face Book and you will see what I mean! With Hospice, you will find young, old and everyone in between. Yet God gave me the elderly to work with.....what an honor! I have never liked History, but God saw fit to put living history right before my eyes! Working with the elderly Hospice patients has given me a new appreciation for History.....real history, not the kind you find in the text books....first hand history! When God placed it on my heart to start writing about some of my patients, I doubted if God could use it.....after all, who would follow me writing about my small scale adventures.......well, God showed me in a really big way that this was all part of HIS plan! As I wrote about Mr. Jack, my first Hospice patient, people began to follow our adventures.....whoda thunk? When Mr. Jack died.....I had people writing me.....mourning over the death of a man that they had never met.....but they knew him in their hearts and minds because God wanted them to! I had many, many patients after Mr. Jack, but often as I got permission to write about them, they were either unable to share things with me.....or they passed on before I could get all the required paperwork in order. Then one day, God place this beautiful smiling man in my life......Mr. May! Mr. May caught my attention the moment I walked through his door. He had a smile that would melt the hardest of hearts, and bring a smile to absolutely anyone's face! I knew the moment I walked in his door, he was the next one I was to write about and bring his precious story to the world. If you have not read them yet, I encourage you to go back in my blog to the very first story about Mr. May and move your way up to the present time. Now, it is with a heavy heart that I must tell you that our time has come to an end to be able to share with one another first had events. My heart is heavy, but God is gracious! Thursday morning was like most any other day, up and about with the family, making breakfast and doing laundry, when I got the call. One of the Nurses from Hospice called me to let me know that Mr. May was not doing well. He had had a bad night and it was not looking like he would be with us much longer. She knew how close I was to Mr. May and did not want me to be blindsided if something were to happen. Chris was out cutting grass when I ran out and told him that I needed to go see Mr. May. We had already planned to go on Saturday on the way home from moving Chelsea back to school. With gas the way it is, we try to make every trip count. Looking into my eyes that were starting to tear, he told me to go. He knew that I would not go if he did not want me to, but Chris being the wonderfully caring person that he is.....there was not even a question. All the way to the Hospital I talked to God. I thanked Him for the blessings He has bestowed on me through the lives of my patients......especially Mr. May! I prayed that God would give me the chance to see Mr. May one last time....IF it be His Will. I prayed for Mr. Mays family, especially his wife to which he would be married 60 years to in September........I prayed for Mr. May, that God would give him peace and comfort.........and I prayed most of all, for Gods ultimate Will. As I arrived at the Hospital I very quickly went inside. Normally, I would be greeted with a big smile and wide eyes......but not this time. Terri, Mr. Mays wonderful personal caregiver, was sitting quietly talking to Mr. Mays Hospice Nurse, Stacy, informing her of that mornings status. I was afraid to wake him, but Terri told me that he would want to see me. Now waking up for a long period of time was not going to happen, but we would occasionally get his eyes opening......and twice, I even managed to get a small smile! The picture of our hands that I posted at the beginning of the story was one I took as I was singing to Mr. May. I had an actual picture of him, but due to the fact that Mr. May was always very conscientious about what pictures I used, I decided that he would not want me to use one of him looking so tired and without a smile. I had the honor of getting to spend several hours with Mr. May, singing and talking to him.....even if he did not really understand what all I said to him. For some reason though, as I was talking to him, I felt as if he knew exactly what I was saying. I spent a lot of time talking to Terri in a hushed whisper and that time was precious too. After a while I went and visited my other patients, but came back to spend more time with Mr. May. While there, I also got to meet his beautiful daughter Cindy. Cindy, like her mom and dad, has quite a sense of humor. She has a beautiful heart and you can tell that she really loves her parents. I could tell that I often saw a different side of Mr. May than Cindy did, but it was cool because I was able to share a few things through the stories that she did not know. I know how that is, after my granddad died, I found out things I had never known......and then wondered why I never tried to sit with him and find out more. Maybe that is part of the "why" I now enjoy talking and hearing stories from others. Mr. May taught me that this life is very short, but there is so much that can be packed into this relatively short lifetime! The time had now come that I had to leave. It was so hard to do so. I knew I would be coming back that way on Saturday.......but would he still be there? Now I know, the answer was no. Friday morning, Terri sent me a text letting me know that he had passed away before she got to the Hospital to sit with him. My heart sank, and yet I knew that my friend was now in the arms of our Savior with no more pain......running and jumping for joy! This earthly body had let him down, but his heavenly body is now perfected! I can just see the smile on his face as he is hearing the Angels singing the most beautiful praises to God! My friend is free from sorrow, free from pain, free from drama and free from disappointment! The hand in the picture that I am holding is no longer wrinkled and shaking, but it is beautiful and praising our God! I am not going to lie and say that I am not going to miss him, for I truly am, but I am filled with joy and sadness all at the same time! It is my hope that I will get to hear more stories from his wife and his family......and if this happens I will be gratefully sharing them with you! I was not ready for this story to end, but as in all stories, there is a beginning and an end. I pray that when you read this story, it will inspire you to go and talk to your family, your friends, and those who God places in your path! Sit down with a recorder or a pad and paper and take the time to really get to know them! God has so many lessons in each of our lives. Lessons to be learned from in both good and bad ways. He has given us memories both good and bad. He has filled our lives with laughter and tears. Why would we ever want to waste them and not share them? This chapter in my life has been one of the most wonderful chapters! I have learned so much and grown as a person. I do not know what story God will have for me to share next.......but I know that I am ready for the task! Father God, thank You for Mr. May! Thank You for allowing me to share a small part of their life! Thank you for allowing me to bring a smile to Mr. Mays face when he would read the stories of his life! Thank You Father for giving me time to tell my friend goodbye! Thank You Lord, thank You! P.S., if you click on any of the words in green above......it is linked to the things I am talking about. Hospice Advantage.......my pictures in face book, and the link to my first story written about Mr. May. May God bless you ALL!!!! Today was a day that did not go as expected. I finally got the story of Mr. May written and I was going to go and get the next part of the story. When I arrived at the Hospital I went straight to Mr. Mays room to let him know I would be coming by soon to visit and get his story for today. As I walked in, it was very quiet. Mr. May was asleep so I talked to Terri, the beautiful woman who sits with him during the day, and she said he had been quite tired today. I told her I would be back in about an hour to see how he was doing. I went to visit a few of my patients and I was standing up front writing my reports when I saw Terri leaving for the day. I asked her how he was doing and she said she believed he was going to sleep the rest of the day. He was really tired and not quite feeling up to par. I told Terri that I would just stop in and quietly visit with him as he slept.......more for me than for him at this point. I visited two more patients and proceeded on to Mr. Mays room. As I walked in, I saw his eyes crack open and he gave me that wonderful smile that just makes my day. I whispered to him that I was not going to stay so he could sleep. He told me that he would love for me to stay, so I came on in and we had a very unique visit! I let him know that I had finished the rest of his story up to the point of him having a desk across from the very beautiful future Mrs. May. He was so funny.....he proceeded to ask me if he was on the internet again and when I told him he was......his smile got even bigger! I asked him if he would like me to read it to him and he said, "OH YES!". As I read the story, he was so wide eyed and attentive to each and every detail. I could almost see him reliving his past in those few moments of time when I was reading it to him. There was such great joy, not only for Mr. May, but for me. How did I become so blessed to experience these little moments in time that fill my heart to capacity? In a second, Mr. May went from great joy....to great sadness. His eyes filled with tears and his face was covered with a look of failure. My heart went from elation, to a great sinking sensation. He then said to me, "I am so sorry, I have nothing for you today!" His voice was riddled with the sound of guilt......and I was quickly feeling his crushing sadness. I was very quick to tell him that there was no need for sadness! I have been covered up with pictures and writing, job searching and grandchildren! I let him know that he has so much to give! I told him that he was giving more than he knew.....every single day to so many people! This is when I felt that I had to let him know exactly what he does for me every time I come to see him. I'll be honest, I don't know exactly word for word what I said, because it was God speaking through me to Mr. May. It went something like this, "Mr. May........God has a purpose for your life and you have so much still left to give! Every time I walk in your room I am overwhelmed by the love in your smile! Your eyes amaze me because they are filled with such great expression! When we visit my heart is full because you bring me great joy through the history of your life! God has blessed me beyond measure with the honor of knowing you! Everyone who walks through that door gets the same smile and bright eyes.......and it is a blessing! You are a blessing!" A hard working young man! Every day Mr. May would go to the 38th floor of this magnificent building and walk straight to the mail room! This is a job that he would have for about a year. I asked Mr. May if he liked working in the mail room and he replied, "Oh yes, this is where the pretty girls were!" After working in the mail room, Mr. May was transferred to the Lubrication Department. I have to tell you, this was not his favorite job with the company.......as a matter of fact......he had a boss there that was a bit difficult to work with. In the Lubrication Department Mr. May would keep track of when the ships would come into port so they could be serviced and fueled up. He would then give the info to the Marine Department. I asked him if he liked this job and well.....lets just say he sorta plead the fifth! His boss was not the most easy person to get along with.......and we will just leave it at that! Mr. May was then given the chance to work for the Big Boss! Gopher Boy.....This is what Mr. May called himself as he talked about his new position working as an assistant of the Vice President of Marketing! This was one job that he REALLY liked! This job, that he apparently did quite well at, lead to him then being the assistant in the Presidents office! The Presidents office was half moon shaped and it sat at the end of the building. The VP and the secretary had an office here as well and Mr. May was the "Gopher Boy" for all of them. He found this to be really neat because he would get to go with them to the airport in the stretch limo! The President would tell him to sit on the passenger side and help with the baggage. He then would help them as they navigated through the airport. As Mr. May was talking to me about his time in this position, he just kept a smile planted on his face. His eyes were wide and there was great joy in his countenance.......there is no wonder he did so well at what he was assigned to do! After a few more years, Mr. May was transferred to the Film Library in Brooklyn. This was where they kept the educational films, primarily about oil and the exploration of oil. They also had a series on how the Airplane flew. These were all educational films that had been sponsored by Shell Oil and they were available for anyone to use. It was mostly Colleges and Universities on a "Loan" basis. When the films were returned they had to be run back on a machine.......remember, these were films that came on a REEL like they have in movie theaters! This was Mr. Mays job. He would run them back and see if there were any damages to the movies or flaws such as cuts and tears that needed fixing. He would then repair the movies by hand splicing the film. In his job, he would also help oversee the Library. After two years, he was then promoted to Manager of the film library! As we talked about all of this, he then interjected, "This was my day job!". Day job???? It just so happens that the good ole days of the ice cream parlor, well they continued on into his life as his NIGHT JOB! After his time at the Film Library, oh and by the way, there were 4 different Film Libraries across the country......he was moved back to the main building where he started on the 38th floor. Well guess what........Mr. May was now over ALL 4 LIBRARIES!!!! In his new job, he would travel to each of the Libraries and keep track of each of them and how they were doing. Mr. May was definitely a blessed man who worked hard! Now is when his life took a turn that would affect his life forever........his desk......it was directly across from the most beautiful and wonderful woman he had ever met........the future, Mrs. May! Stay tuned because I am going today to get the continuation of this story! May God bless you all!!!! The day God turned my world upside down! Before I tell you about the day that God turned my world upside down.....let me tell you what lead up to that day. God has greatly blessed my life in so many ways. He has given me my dream house which sometimes can be a nightmare for Chris since it is 103 years old. The window over the sink in the kitchen has needed replacing since we moved in 6 years ago. We decided to go to a certain store in Athens and see what it would cost for a new window. Normally we would go to the one in Monroe, but we had other errands to run in Athens this particular day. Now you may be asking yourself....What the Cathair does this have to do with turning your world upside down? (well.......that is how my hubby would say it....jejejejeje) While we were at this store, we set up a visit with a man to come and measure the window and give us an estimate. The next week we got a call from a representative and he came out to our house. Little did we know that God had a plan that we never saw coming when a man named John came to our door. From the moment he said, "Hello! ", we knew something was different about him. We immediately formed a connection with him, and he with us. What happened after hello still has us sitting in awe. We spent 4 hours talking and only about an hour of it was about the window and possible siding. After our visit, we were both feeling as if maybe God had sent an Angel to our home. I would love to go into detail, but it might turn into a book! The long and short of it is that as we were talking about the window, we kept getting off subject and finally John said something about Honduras. HONDURAS??????? We started to talk about Honduras and John told us that somehow he knew we had deep ties......he could feel it in our hearts. He told us the story of how God had tied him to Honduras and we sat listening in utter awe. If ever there was a story that needed to be documented....his was one of them! John proceeded to tell me that if I wanted to go again, he would give me some coffee to sell to earn my way. (the coffee story is a humdinger! I will have to get him to give me his testimony on this so he can share it with you.....I would not be able to do it justice!) I cannot tell you what God did in both mine and my husbands heart that day. There is only one other person that I have seen Chris get so involved in listening to and that was brother Bob who started the mission in Honduras! Just a few months before, Chris had told me that there was no way I would be able to go back to Honduras for at least a couple of years........so I had resigned myself to not going. To say this day was a miracle would be a complete understatement! When John left, Chris and I literally sat and looked at each other wondering if what had just happened was real! I found myself asking how he could have possibly known about Honduras? We had no pictures up, nothing indicating we had ever been there..........but what we did have, was a love for a place and many people that connected with someones heart that had the same passion! I would be lying if I told you I had no doubts about what had happened..........if I told you that I was thinking that somehow this had to be a scam (because that is what we are conditioned to think in the world we live in)..........my mind at this point was blown! BUT GOD!!!!! BUT GOD in the weeks to come would show Himself over, and over, and over again! I found out how weak my faith had become. I found out how much of my life was spent in doubt and disbelief of what God can and will do. After all.......this only happens to other people..........right? I am going to close out this story for the night but tomorrow I will share with you how God showed Himself to me in a really big way! May God bless you........and I can't wait to share more with you tomorrow! My name is Lorri and I am a proud wife, mother, Honeygram, and band manager! I pray that you will laugh, cry, find needed information, peace and encouragement as you pa-ruse this site!